BRD will support the Ethereum “Constantinople & St.Petersburg” hard fork. There’s no need to take any action: BRD will handle all the technical requirements and your balances will be automatically migrated without any downtime. 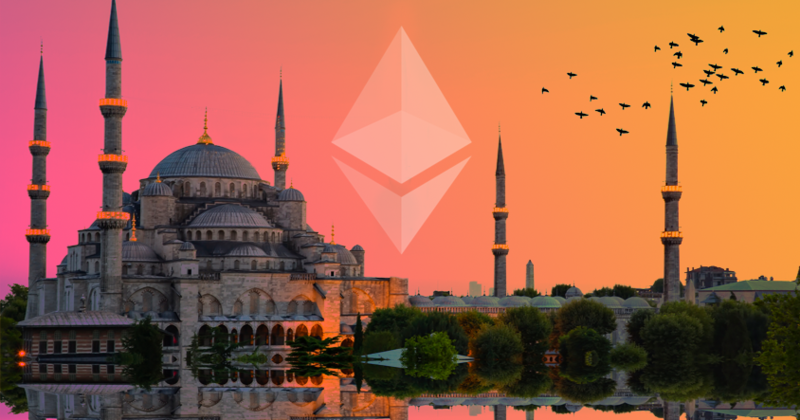 Ethereum’s next planned upgrade - codenamed “Constantinople & St.Petersburg” - will be deployed at block 7,280,000 which will be mined on Thursday, February 28th. This is a significant update containing 5 EIPs (Ethereum Improvement Proposals) that will impact mining, smart contracts, gas costs, and other important network issues. Most important and hotly discussed of those is EIP 1234 which delays the “difficulty bomb” - that is an algorithmic increase to mining difficulty, by 12 months. That changes the mining rewards from 3 to 2 ETH per block. There are other important changes as well, improving on smart contract functionalities, and reducing the rising gas costs. The update will be a hard fork, meaning that it’s not backwards compatible and will render the previous protocol versions invalid. For the Ethereum network to continue functioning properly, it should be installed on all nodes - else, if a sufficient number of nodes will continue to operate on the older version, there will be a split in the network. As opposed to some recent hard forks however - like Bitcoin Cash - this is not expected to happen with Ethereum. This update is non-contentious, meaning that the majority of miners support the upgrade and have been preparing for it. We at BRD have prepared for “Constantinople & St.Petersburg” as well and our servers are up-to-date. We are not planning on any downtime, and you should be able to access your funds at all times. However, some exchanges and wallets did schedule some downtime to perform the upgrades. Once the update is activated, you should check with the receiver that their service is not experiencing downtime. Sending and receiving between BRD users will not be affected. Do not hesitate to contact us at [email protected] if you have any other questions.